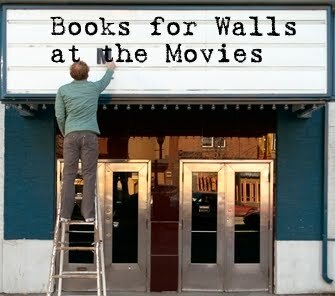 On Fridays we'll tempt you to sneak away from your books to talk about movies. But not just any movies --just movies that were once books. Tell us about your favorite movies adapted from books. And go ahead, tell us about those movies that were not as good as the book (I think we all know one of those!) Post in the comments below. The book is much better than the movie --but the movie does a good job making the book come to life. It stays true to some of the details --but not all of them. Chocolat. Book by Joanne Harris, Adapted for film Robert Nelson Jacobs. The book was like candy but the movie, pardon the pun, was CHOCOLATE. I have watched it dozens of times. The Lightening Thief. Book by Rick Riordan and I am not sure who adapted it for film and I do not want to know. To mess with the God's is dangerous, for sure, but to make a movie that doesn't even try stick to Ancient God's 101... argghhh. The Dad had to hush me up as I yelled at the screen! Well, I have to go you one better and post three. The first nudged me with the astronaut challenge, but it didn't quite fit there. So: 2001: A Space Odyssey by Arthur C. Clarke (I understand that the book and sreenplay were created concurrently.) . I laughed, but at the same time a chill went down my spine and my hair stood on end. Both the book and the film were moving equally, in different ways, each true to its medium. My view of the world was enriched by this view of a culture very different from my own, but an insight into the humanity with its ugliness and beauty we all share. This one because (I confess I don't spend a lot of time thinking about what I would choose to respond to a challenge because things pop into my head uninvited.) 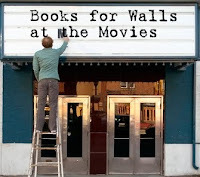 most readers usually prefer any book to the movie. In this instance, I preferred the movie which was, at least, honestly labeled "inspired" by the book. This is a beautiful story of a young girl who has received a very special gift but, because in her culture girls are not recognized as being thus gifted, she is not allowed to develop it. One day, however, because of unusual circumstances, she takes it upon herself to use it at what might well be the cost of her own life, and in the process "..lead her tribe to a bold new future." I usually like the book better than the movie. Hollywood doesn't always make the best decisions when streamlining stories for mass consumption. Indies are a little better about keeping more of the good stuff and adding fewer mis-matched patches, but still, it is a matter of time. Something has to give when you are taking a novel and boiling it down to 90-120 minutes. A book's only limit is the reader's imagination. All that said, I have to admit that I liked The Joy Luck Club the movie better than the book by the same title written by Amy Tan. The movie transported me into the lives of the women it portrayed, it was beautifully shot, and superbly cast. "I think life is far too important a thing to ever talk seriously about it." Oscar Wilde's wit it perfect around here --eading the play aloud is on the "must read soon" list. But what to watch tonight?!? When I read this for the first time, I was so struck by the imagery Maclean described, that I immediately began a library-research project and dreamy-concoction for both a trip to and eventual relocation to the gorgeous state of Montana. I remember tracking small towns like Libby, Kalispell, and Half Moon. I longed for a hike down Going to the Sun road. Simultaneously, I fell in love with one of our great American authors--and read everything he'd written. He taught me about smoke jumping and fly fishing in a way that made me want to learn how. Later, when some favorite actors were cast to lead the roles of the small Presbyterian family, in the movie depiction of ARRTI, I anxiously anticipated what I hoped would be a marvelous adaptation. For me, Robert Redford was the only person who could have captured Maclean the way he did. There are scenes from the film and bits of the dialogue that I use regularly... "I slipped! I slipped!" and no matter how many times I watch it (and I own a VHS copy that should have died by now but has not!) I am always enamored of the sweetest of humanity displayed by the characters, and there are always tears when I see the elder's hands in the final scenes on the big river. I'd have to say that usually I enjoy the books much more than the movie, but there are times when the book is a disappointment (or at least not at all similar to the movie). All of these movies were mainstream and were derived from the books. Each book was just a little quirky, offbeat and sometimes just plain weird. Bridges of Madison County: Clint Eastwood's character in the book was much more wacky - I did not relate to him well. The Horse Whisperer: The book had a much sadder ending, much much more different than the movie. The Christmas Story: Can't remember the name of the book - something like "In God We Trust, All Others Pay Cash". Boy, was this guy weird - he rambled all over the place. Only a few chapters of his book were related to the movie (where the boy wanted a BB gun for Christmas). It was like a memoir, but a very depressing one. In books, though, it's me. I've read the book the book twice. I really like it and thought it would make a good movie. But I didn't like the movie at all. They changed so many things that they didn't need to. It would have been a better movie if they would have stuck to the book!! I didn't really like the animation either --the Fox was the same size as the Rat! There were a few funny parts and I liked some of the characters, but I will probably never watch it again! This week I watched the "Girl with the Dragon Tattoo" based on the book by Steig Larsson. First, I love that Sharon (one of our favorite librarians) was able to say, without turning me off to the book, that she didn't think is was my kind of book... well she was right. I couldn't get through the first 50 pages of the book -if I am not into a book by then I put it down for a while. But so many people have suggested the books (its a trilogy) and because the movie moved so fast, I imagine it will be a good book. And I will read it... I think. Ooh, that sounds so good, I think we want to watch it! and read the book! I absolutely loved the movie! (For a great 101 and the trailer, click here) I love Amy Adams and Frances Mcdorman is a perfect Miss Pettigrew and I cannot wait to meet their characters on the page! I imagine the book will be wonderful --has anyone read the it? Once I finish the book I will let you all know! I am a big fan of movies too, but often I rather read it first and watch it later. I prefer to read a story because I get to "see" it in my mind, I love the feeling of imagining the scenes described in pages, as John D. said, one is the character one prefers, besides, we are often disapointed by the translated images on the screen. There are exceptions though. I loved too The Whale Rider (thank you jolynbarrett), I also was pleasantly surpised with the version of "Like Water for Chocolate" by Laura Esquivel, they managed to capture the magic of the book. Antoher one I truely enjoyed was "The Lover" by Marguerite Duras, this two almost surpased the book I think. I had encountered feelings with the trilogy of "The Lord of the Rings", I am so glad I read the books before the movies came out, so many special efects killed the "efect" for me, not that the movies were not well done, I think it was very hard to attempt taking them to the screen. "Anne of Green Gables" Megan Follows IS Anne. Colleen Dewhurst IS Marilla. Until the disaster that is the third "movie" Kevin Sullivan stayed pretty true to the books-mixing a few up in there but the essence of the series and 1890's Prince Edward Island is fully realized. Love it! LOVE the Big & Little Sister’s 5 year old Book List! My read suggestion is for the older crew! I read The Help about 6 months ago after several friends highly recommended it. Amazing story! I recently saw the movie with The Mom and was pleasantly surprised how much the movie adhered to the book. If you loved the book, you’ll love the movie! I LOVE movies and a lot of the times, I do not realize which ones were books first, unless they are young adult, since that is the majority of what I read. Nevertheless, I can name off a few. Twilight---Enjoyed the books, not loving the movies...at all. Catherine Hardwick didn't know what she was getting into when she took on this project. The Last Song---Enjoyed both for what they were worth. Could have helped that the screenplay was written first. Chronicles of Narnia---The movies are taking their licenses, but I love them, especially the 2nd. Pride and Prejudice---Loved the movie with Kiera Knightly, the mini series with Colin Firth, and the book. Really no issues. The Vampire Diares---The show is sooooo much better than the books. The show has a consistent and complete plot. The books relied on coincidences far too often. So not cool. Pretty Little Liars---I enjoyed the show better, merely because it didn't name drop all the brands like the books do, and you get all the different fgirl's perspectives at the same time, where the book gave one girl's perspective per chapter. I'm sure there are more, just can't think of any others at the moment. I (the Mom) hope to go to "incredibly loud and extremely close" next week, I am almost done with the book --I am nervous, I really love the book and wonder if the silver screen can do it justice! HAve you guys seen Hugo!?!?! I recently read The Perks of Being a Wallflower, which was a really good book. I haven't seen the movie yet, but I really want to! I heard the movie was very good as well!